Let’s get one thing straight- Reba McEntire is the Queen of Country Music. There are women with longer careers than she has had still actively producing music (we see you, Dolly, and we love you), but Reba has surpassed many of the artists who inspired her, if not in influence, then certainly in awards. McEntire holds the second most wins for the Academy of Country Music’s Top Female Vocalist awards, holds the record American Music Awards for Favorite Country Female Artists (twelve of them! ), and was the first to win the Country Music Association’s Female Vocalist of the Year Award four times consecutively. In addition to her many accolades, McEntire has achieved solo number-one charting songs and albums across four decades, from the 1980’s to the 2010’s. She has fifty CMA Award nominations to her name and forty seven ACM Award Nominations. She holds countless other awards and nominations across the music industry, including a Grammy nomination in Roots Gospel Music for her 2017 album, Sing It Now: Songs of Faith & Hope. The awards are a testament to McEntire’s ability, and every album she produces if chock full of musical integrity. Her ability, however, isn’t the driving force behind her robust and enthusiastic fan base. Through her four decades on the scene, McEntire has never reinvented herself; she’s never had to. From the start of her career to the fame she knows today, McEntire has always been humble and kind, sassy and funny, and most of all, genuine. She writes and performs songs that people across every generation, from every kind of background, can relate to. From new love, raising babies, break ups, the loss of a loved one, and hope and faith in God, McEntire covers just about every topic that could happen in a woman’s life when it comes to relationships and the many forms love can take on. Every song of McEntire’s seems to cover the heart of the matter, whether she’s asking What do you Say or telling the fool who lost her he can Hear her on the Radio. A mix between the Mom we all want to have and the woman we all want to be, McEntire just gets it when it comes to some of life’s most fun, and sometimes most difficult experiences. Her music is full of rich storytelling and a great deal of heart. With over forty number one singles and sixteen number one albums, the world has made it clear time and time again that it hears her, and it loves her. That said, not every song by every artist can be a number one or the most well-known of their discography. 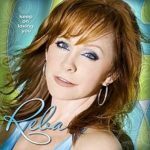 With as many albums as Reba McEntire has produced, there are a lot of hidden gems waiting to be rediscovered. 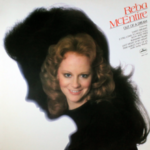 The best part of doing a retrospective on Reba Mcentire’s best underrated songs has been looking at the hair do’s she has sported through the years as we pulled back cover after cover, each one revealing a drastically different style from the last. Honorable mention goes to her 1995 reissue cover for Merry Christmas to You. If we could bring back hair that big, the world would be a better place. In honor of her forty years dominating the industry, her recent Grammy nomination, and the 35th anniversary of her first number one hit (Can’t even Get the Blues- it hit number one on January 8th, 1983) we’ve compiled a list of our most favorite of her anthems. Jack your hair to Jesus, grab your headphones, and sit back for a walk down memory lane with Reba McEntire’s best and most underrated songs, 1977-2017. Out of a Dream, the singer’s second studio album, brought with it varied success. The single associated with the album, Last Night, Ev’ry Night, was her first song to chart top 30. The album itself did not chart, but it did feature the first song written solely by McEntire- Daddy. My favorite song from the album is almost reminiscent of Dolly Parton- you can hear the singer’s inspiration in this tune especially. I love this song because of its classic simplicity. It’s good, old fashioned Country Music. Have I Got a Deal For You, McEntire’s 9th studio album, is where we can start to see some of the singer’s signature style; a perfect blend of good two-stepping songs and heartfelt country ballads. This album played well off of her 8th, My Kind of Country, where she really began to establish her sound. I’m in Love All Over and She’s Single Again are my top picks for this album. Both are catchy with fun, meaningful lyrics. The singer’s classic blend of I love you/protect my man/well hell it’s over can really be heard in all the songs on Have I Got a Deal For You. And if I had to pick a Reba song to two-step to, it would be I’m in Love…! 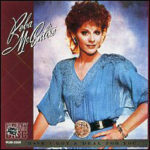 Let The Music Lift You Up is one of the earliest Reba McEntire songs I remember. As a kid, I always thought it was so fun to jump around to. Now, as a lover of music who works in the industry, I appreciate the lyrics more than I ever thought I would. In a totally different vein, Lookin’ For a New Love Story is a fantastic ballad for women of all ages facing the perils of our very mixed up, sometimes concerning dating world. Who else believed in silver screen romance, only to be met with bad Tinder stories? Alright, maybe that’s a little extreme, but you can’t fault a girl for trying to make a bad experience a little bit better with a little bit of Reba. Merry Christmas to You was McEntire’s first Christmas album, and was again met with varied success. Ten and twelve years after the album was released, songs started charting. Now, McEntire has several successful Christmas albums under her belt. It’s hard to choose a favorite Christmas song by Reba. If I had to, this would be in my top three. The classic country twang coupled with the sweet story of baby Jesus is a perfect tune for making the yuletide happy, and remembering the reason for the season in the first place. Besides, I had to feature a song from this album to show everyone THE HAIR. I wholeheartedly believe this is her best style, past or present. No one will convince me otherwise- not even Reba McEntire herself. Climb That Mountain High was actually the theme song for a short lived sitcom starring Delta Burke, in which Burke played an aspiring country singer. McEntire made a guest appearance on the show, but the whole thing collapsed after one season. Both chosen songs from this album represent the tug of war that life often presents us. Do we go over the edge and fall in love- whether that’s with ourselves or another person- or do we hold tight to what we know in fear of things changing? The title song of the album is a fantastic representation of this theme, too, but it’s far too well known to be underrated. So Good Together is arguably one of McEntire’s most successful albums. The single for the album, What Do You Say, charted at number 3 for country and was nominated for a Grammy for Best Short Form Video. The song was also her first big crossover hit, charting at number 31 on the Billboard Top 100. The album itself is certified Platinum and charted at number 5 on the Billboard Top Country Albums and number 28 on the Billboard top 200 Albums. 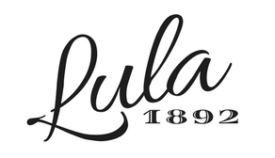 Where You End and I Begin is the Lula top pick for songs on this album. It’s catchy, it’s sweet, it’s a whole lot of fun and it captures the essence of new love so well. 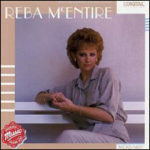 Let’s also stop for a moment of silence, because this album is where Reba’s hair really starts to get smaller. The closer we get to McEntire’s current albums, the harder it is to narrow it down to just one or two songs. 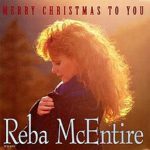 This album was hailed as one Reba’s best and most personal. This whole album is fantastic, but there’s something special about the song My Sister, especially. Sisters start out as your worst enemies, when you’re young and they’re chasing you around the yard and pulling your hair, but they almost always turn into your best friends. That sentiment is wrapped up beautifully in this song. 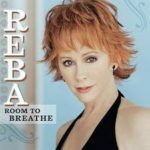 Do we hear Susie McEntire calling Reba right now for a duet? Yes. Yes, we do. McEntire’s first album after switching labels brought her major success. With chart topping songs and new records, switching labels seemed to reinvigorate the feisty, fun, heartfelt sound Reba is known for. Though Strange should be on this list, and every list, it is too well known to be underrated. I’ll Have What She’s Having is just plain silly fun. It’s country music you can two step to and laugh with at the same time, and Pink Guitar is what little girl’s dreams are made of. What woman in America can’t relate to this album? 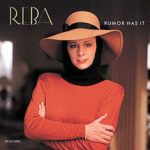 This is one of Reba McEntire’s very few albums not to be certified, making it perhaps the most underrated of them all. Each song is a journey through womanhood- longing, breakups, success in life and love and all the failed attempts at both of them, motherhood, finding rest in all of it. McEntire said about this album that she was a “mother first, wife second, and the rest just follow,” talking about the multiple roles she has played in her life. There is a song for every woman, of every age, on this album. 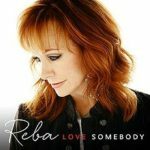 Love Somebody, which debuted in early 2015, brought McEntire her 12th number one spot on the Billboard Top Country Albums chart. Just Like Them Horses cuts deep for anyone who has lost a parent or loved one that helped make them who they are, and only Reba could give grace to such grief with her voice. 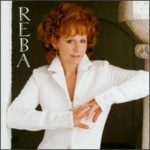 Promise Me Love captures the intimacy of a relationship better than so many other songs have attempted to; throughout the song, Reba walks a tightrope of adoration and insecurity- something we have all felt when things are new and uncertain. Reba’s most recent studio album, released in February 2017, has crossed over into Gospel Roots and she is currently nominated for a Grammy in the category for best album. 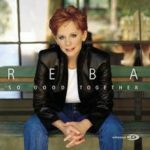 Reba hits home with this collection of songs, focusing on her personal faith and how that has manifested itself in many forms throughout her life (God and My Girlfriends), as well as how it can be better manifested in our world (Back to God). “I think this album really helped me, not only to keep me busy, but keep me busy on something that is good and positive and healing, which music is. These songs [of faith and hope], that’s what you gotta have when you’re going through bad times — and good times. 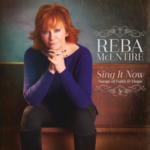 You gotta have faith and hope to carry you through each day,” Reba said in a phone interview with OK News when her album was released, talking about why she chose to release the album when she did. I’ll Fly Away wins most underrated simply because it is one of my favorite hymns, and one I have often turned to for joy in times of sadness and loss. From the Inside Out chronicles the changes that we all must undertake at some point in our lives; life can leave us a mess, it’s how we clean it up that matters. 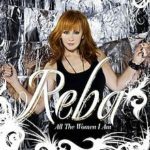 Reba has set these hymns and songs of faith to her own style of music in her usual, breathtaking way.